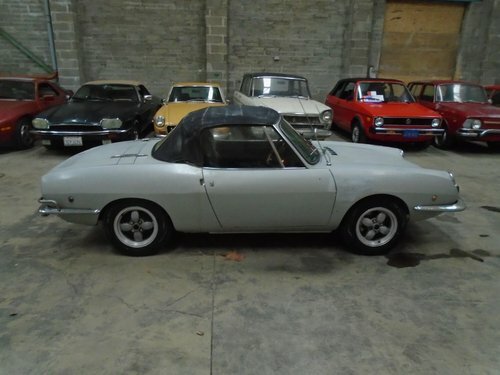 THIS A GENUINE (NOV 1969) FIAT 850 SPORT SPIDER CONVERTIBLE LHD 4 SPEED MANUAL IN SILVER (WAS A FACTORY LIME GREEN CAR) WITH BLACK INTERIOR AND ALLOY WHEELS! 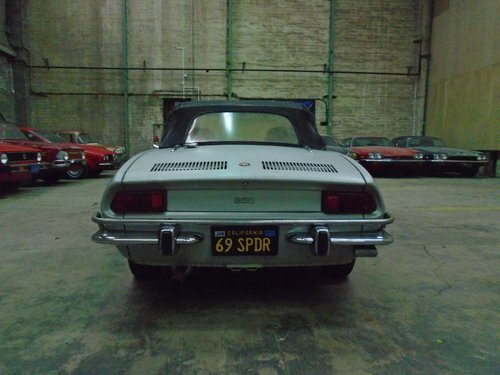 THE PERFECT SOLID PROJECT CAR. CAR IS TAX AND MOT EXEMPT! CAR IS SHOWING JUST 29000 MILES! PERFECT CLASSIC MOTORING! A PERFECT 98% RUST FREE PROJECT! 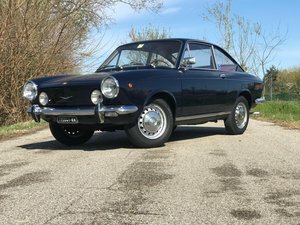 THIS IS A GREAT SOLID BASE FOR ANY WOULD BE FIAT 850 FAN OR PROSPECTIVE OWNER/INVESTOR! GREAT TO USE IN THE SUMMER FOR SHOWS OR EVEN DAILY DRIVING! 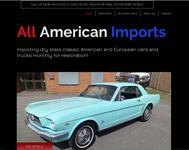 CAR HAS RECENTLY BEEN IMPORTED FROM DRY STATE CALIFORNIA WHERE IT WAS PURCHASED PERSONALLY BY ME! 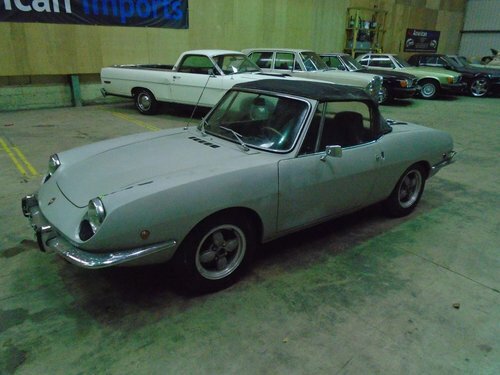 THE CAR HAS BEEN STORED FOR THE LAST 25 YEARS BY ITS ORIGINAL OWNERS AND ONLY RECENTLY PURCHASED BY THE 2ND OWNER WHO PUT IT BACK ON THE ROAD..
&#8203;THE CAR IS IN ORIGINAL COMPLETE CONDITION WITH MATCHING NUMBERS 850 ENGINE AND 4 SPEED MANUAL GEARBOX. 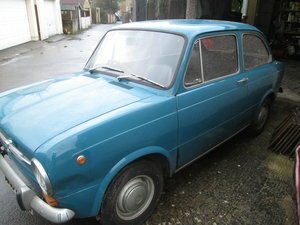 THE CAR STARTS RUNS AND DRIVES, GEARS/BRAKES/CLUTCH ARE ALL OK, HAS HAD SOME MECHANICAL WORK RECENTLY BUT DOES REQUIRE THE CARB SETTING UP AND HAS A SLIGHT EXHAUST BLOW, (WE HAVE A VIDEO OF THE ENGINE RUNNING) THE CAR IS SOLID PROB AT LEAST 98% RUST FREE. 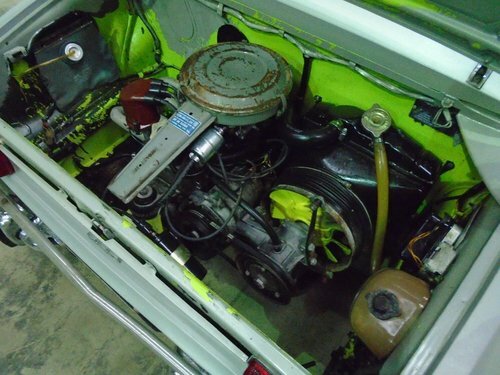 THE BODY IS EXCELLENT AND HAS HAD A AVERAGE PAINT JOB OVER 25 YEARS AGO TO SILVER BUT WOULD BENEFIT GOING BACK TO THE ORIGINAL LIME GREEN, NO WELDING DONE. 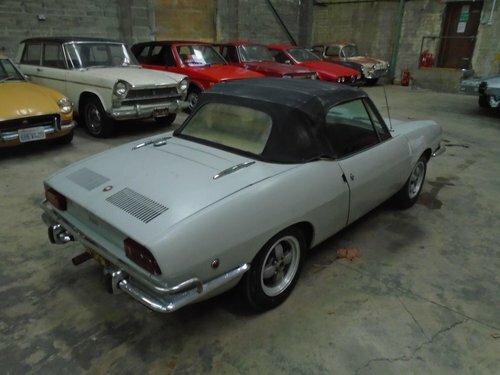 THE FLOORS/SILLS/BOOT FLOOR ETC ARE SOLID, MIGHT HAVE A BIT OF RUST IN THE BATTERY TRAY AREA ONLY, THE HOOD IS GOOD APART FROM A CLEAN, GLASS IN EXCELLENT CONDITION. 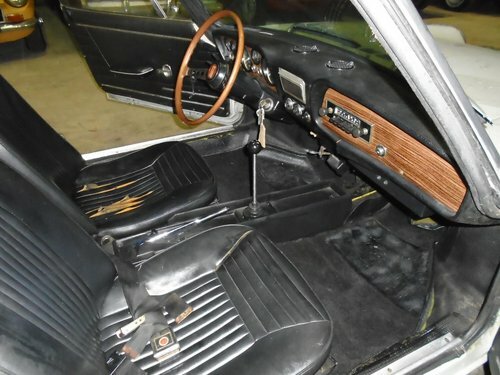 THE CAR INTERIOR IS ORIGINAL, SEATS ARE VERY GOOD AND USABLE BIT OF WEAR TO THE BASE, DASH IS AMAZING AS ARE ALL THE INTERIOR PLASTICS FOR A FIAT! ALL VERY USABLE TOO, CARPET IS OK TOO, ALL IN ALL A GREAT BASE TO START! 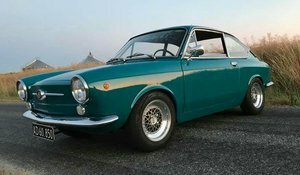 &#8203;I CANNOT STRESS WHAT A GREAT PROJECT THIS WOULD BE FOR ANY FIAT FAN AND YOU WOULD HAVE A GREAT INVESTMENT WITH A SOME WORK! COMPARED TO ANY MG OR TRIUMPH FOR THE MONEY THIS IS TWICE THE FUN! THESE 850'S WILL ONLY INCREASE IN PRICE! YOU WONT FIND MANY SOLID ONES CHEAPER!